Where do you fall in this spectrum? Most of us are leveraging cloud technology unknowingly and on a daily basis as we use apps on our smartphones, or productivity applications for managing things like our finances, booking travel, or buying things online. Cloud technology is critical in delivering many of these services to millions of users in a reliable, and responsive way. But of course, we don’t need to know about the inner workings of these services or how they leverage the power of cloud – the magic happens behind the curtains and we just experience the benefits of it while completing our tasks faster than ever before. When discussing cloud in the workplace, our role can often change dramatically though. Instead of being an unknowing user as we often are as a consumer – more and more of us are in a position where we need to make decisions about how to leverage the cloud to make our business organizations more efficient, profitable, and effective. According to a recent survey by Tech Republic, of the 727 cloud technology decision makers at large companies surveyed, 60% of enterprises are now in the process of moving, or have already moved, mission-critical applications to the public cloud. 86% said they now have a more expansive multi-cloud strategy. Forbes expanded on this with a survey of their own that predicted that 83% of enterprise workloads will be in the cloud by 2020. What does this mean for you? 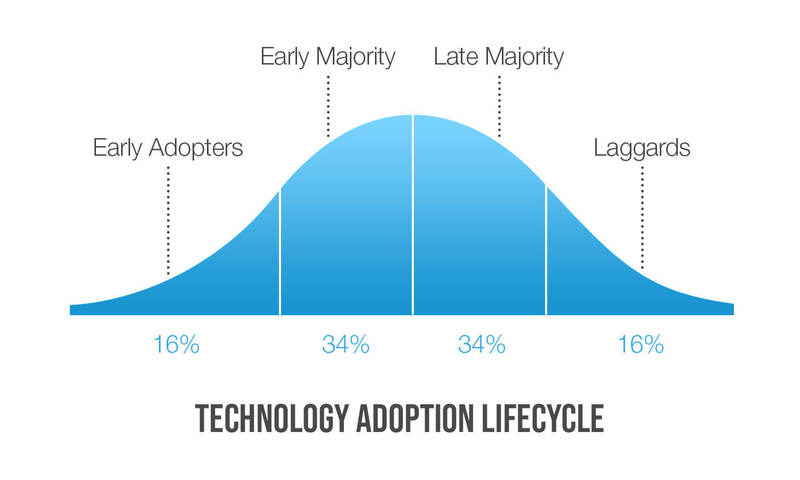 It communicates that cloud enabled technologies are well passed the point of “early adoption” in the workplace, and if you and your organization haven’t at least begun planning your cloud migration strategy, you are likely in the category of Late Majority, or more likely the Laggards. This is a position that will make it increasingly difficult for your organization to compete in the increasingly competitive business landscape around you. Considering the impacts of inaction, we want to share some insights about cloud computing and how it can benefit those of us who are still in evaluation mode – from small businesses to multinational corporations. When the internet first exploded, it caused a massive boom of dot-com businesses that lived and died in less time than most film franchises. However, one thing that came from this tech boom was a lot of infrastructure. In the infancy of the Internet, each computer had to be connected to the web via a series of cables. Wireless technology had not yet been developed, along with most useful tools we appreciate today such as plug & play devices using USB and other hardware and software standards. This meant that a lot of things had to be installed manually. Routers, modems, and wiring were all required to make a complete network, and all of the data shared on that network had to be stored on hard drives. As we all have experienced, moving personal and business data around in this environment of closed “on-premise” systems is clumsy and costly. The cloud has unlocked computing and storage capabilities that are seamless with our experience with different devices and apps. Not only can we store and securely access our data digitally from any device, anywhere – we also can easily share with others – increasing our collaboration with others. Another notable advantage of cloud technology, is how easily it scales. With scale, comes significant direct cost savings that is often appreciated by both the service provider, and the user. Further, by “outsourcing” computing to the cloud, your organization no longer has to power equipment, greatly reducing energy costs. Finally, reduced workforce dedicated to management of computing and networking equipment meaningfully decreases costs or allows organizations to see enhanced productivity by re-tasking existing staff to other areas such as applications development, creating additional value to the business. Digital access to shared storage space and low-cost, effective productivity tools also propels businesses to open new branches, expand into new territories, support remote workforces, and grow online much faster and more efficiently. One of the most significant frustrations for businesses operating traditional networks and legacy infrastructure is the challenge of maintaining security, while offering the interoperability that business initiatives require. Maintaining this delicate balance often involves in-house security teams to design and monitor network hardware and software, plan upgrades to keep pace with business growth, and apply patches and software updates regularly, and backup sensitive data to prevent occurrences of data loss due to hardware failures. 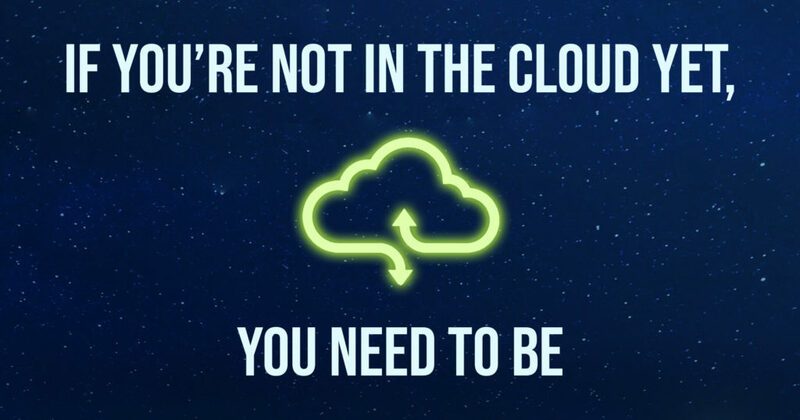 By comparison, on a cloud architecture every business device securely connects with centralized managed cloud services and only synchronize or transfer data when needed. Therefore data is always secured, geo-redundantly archived, and available on multiple devices simultaneously. A users credentials are also securely stored in the cloud, which means access to many different devices and applications can be managed with this single digital signature – greatly enhancing a users experience across their workflow. From an administrative perspective, software and security updates can be deployed constantly without the need to load software on a device by device basis. This enhances security at an organizational level, and empowers administrators to quickly respond to identified security threats, as well as roll out enhanced software features to expand the productivity of their workforce – not inhibit it. The cloud isn’t the future, it’s now. Each of us need to take individual responsibility to understand the positive impacts of this technology and its application beyond our daily lives as a consumer. The potential for cloud to resolve many of our most frustrating interactions with technology in the workplace should drive each of us press for its adoption – and unlock the benefits for ourselves, our teams, and the organizations we strive to better each day with our most valuable asset, our time.